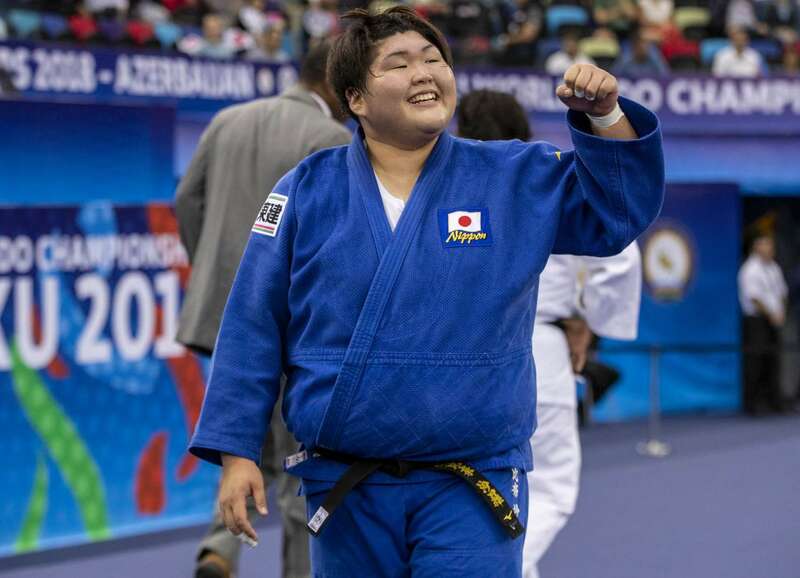 Openweight world champion ASAHINA Sarah (JPN) was crowned the heavyweight world champion in Baku. 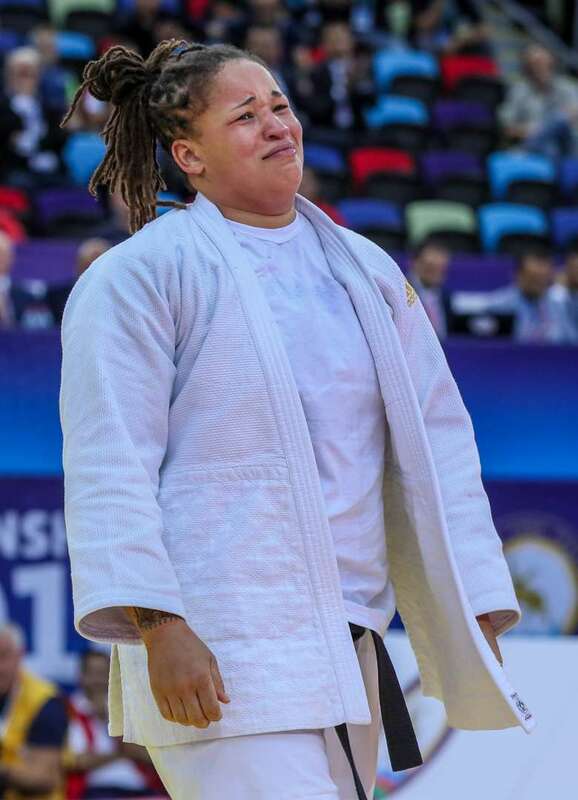 The 21-year-old defeated three-time Olympic medallist Idalys ORTIZ (CUB) in the +78kg final. Cuba’s all-time great ORTIZ, who won the World Championships in 2013 and 2014, was outworked by her young Japanese rival. As the Cuban’s former coach and new IJF Hall of Fame inductee RONALDO urged on his long-time athlete, ASAHINA stepped up her workrate in golden score and ORTIZ was penalised for the third and final time. ASAHINA claimed her second world title to ensure that she is in pole position for Tokyo 2020 while seven-time world medallist ORTIZ clearly still has the ability and desire to make one more medal tilt at the next Olympiad. The Kodokan starlet has now banished her painful memory of her defeat in the final a year ago and will be aiming for a third world crown at home next year in Tokyo. 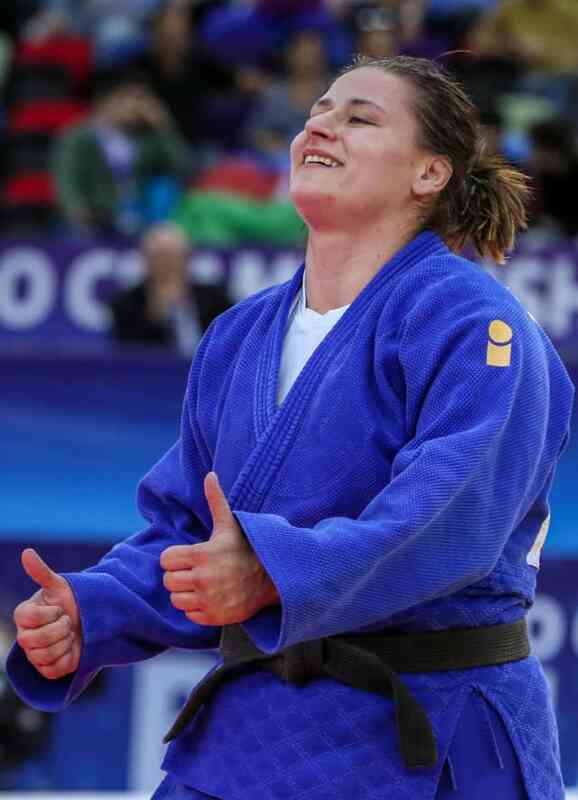 In the first semi-final ORTIZ defeated double world silver medallist Maria Suelen ALTHEMAN (BRA). Both judoka failed to threaten the scoreboard in regulation time and golden score was ordered to produce a winner. ORTIZ prevailed with a waza-ari score to move into the final and extend her unblemished head-to-head record against the Brazilian to 13-0. In the second semi-final ASAHINA bested Larisa CERIC (BIH) in a rematch of the Openweight World Championships final. 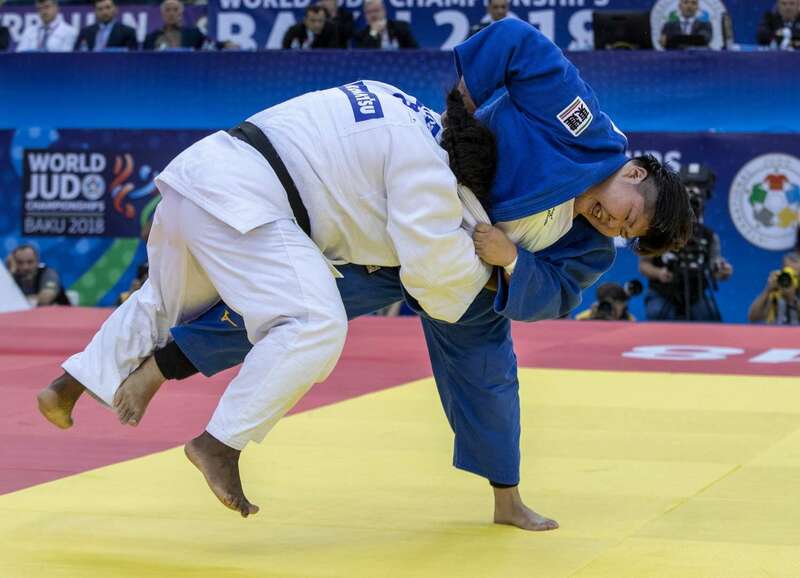 The outcome was the same this year as the Japanese won with her first major attack as CERIC was dismissed by ippon from a sasae-tsurikomi-ashi. In the first bronze medal contest CERIC defeated The Hague Grand Prix bronze medallist Sarah ADLINGTON (GBR) who was competing for a World Championships medal for the first time in her career. CERIC scored a waza-ari with a winding makikomi after 38 seconds of golden score as she showed her consistency at the top level. ADLINGTON will be more than satisfied with a career-best result and invaluable ranking points towards qualification for Tokyo 2020. In the second bronze medal contest former European champion Kayra SAYIT (TUR) thwarted ALTHEMAN to win Turkey's second medal of the competition. SAYIT scored a waza-ari from a ko-soto-gake which was enough for bronze to send her country above Brazil in the medal table. 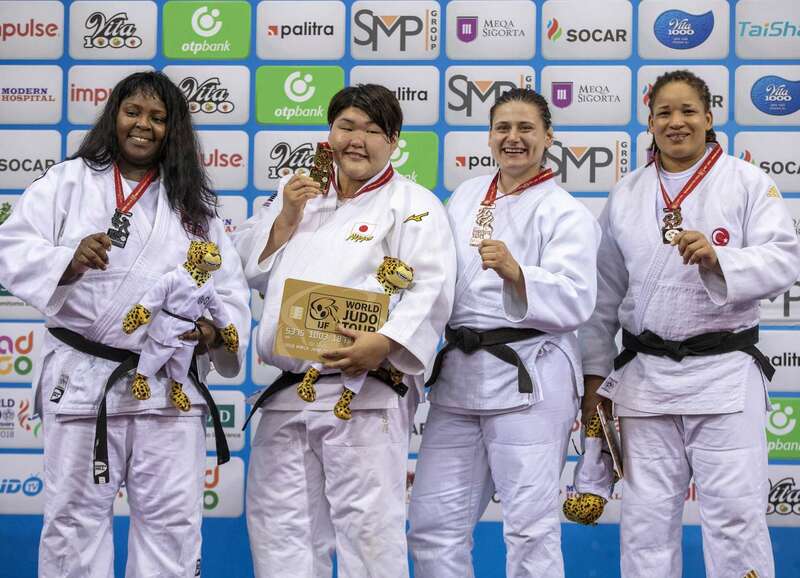 The hosts of the last Olympics only won one medal from their 18-strong team (bronze from Erika MIRANDA at -52kg) and will hope for better in the team competition on Thursday. World number one Guram TUSHISHVILI (GEO) won his first world heavyweight title as the men’s +100kg crown switched hands for the first time since 2007. 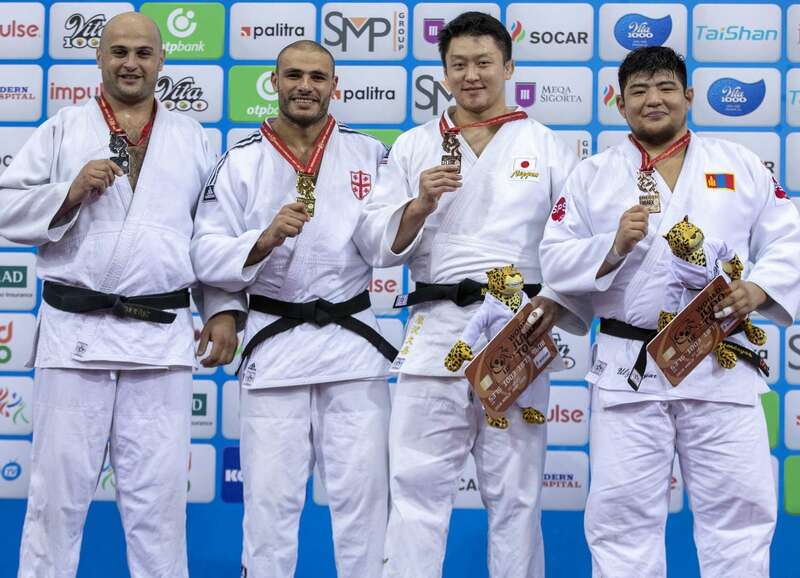 World Judo Masters gold medallist TUSHISHVILI, 23, who finished fifth a year ago in Budapest, won all five contests by ippon including the final over home judoka Ushangi KOKAURI (AZE). 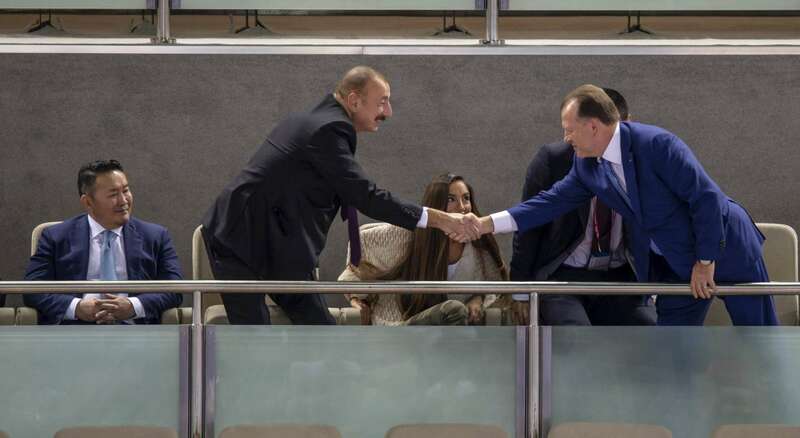 The ‘Tower of Tbilisi defeated rank outsider and world number 36 KOKAURI in front of the President of Azerbaijan, H. E Ilham ALIYEV. TUSHISHVILI, who was arguably the best supported judoka in the entire individual competition, threw his Georgian-born rival with six seconds left on the clock with a seoi-nage for ippon. Georgia’s first gold medallist in Baku pointed to his name on the back of his judogi and then lifted up his coach in celebration after a sincere embrace between both finalists. Double Olympic champion and 10-time world champion Teddy RINER (FRA) has held the world heavyweight title since 2007 but was not in action today. The Frenchman said he will return to competition in January while in Baku earlier this week as a special guest and in his role as the Chairman of the IJF Athletes Commission. TUSHISHVILI gave RINER his greatest fight since his last defeat back in 2010 – a Openweight World Championships final loss to KAMIKAWA Daiki (JPN) by decision in Tokyo – when the pair met in the semi-finals a year ago and the leader of the new guard and France’s heavyweight icon will renew their riveting rivalry next year. TUSHISHVILI becomes the first male heavyweight world champion to wear a red backpatch as RINER has always worn only gold since the colour scheme was introduced after London 2012. The next chapter of their feud will see the Georgian in his new red backpatch and RINER in his gold backpatch. In the first semi-final TUSHISHVILI defeated former Junior World Championships gold medallist ULZIIBAYAR Duurenbayar (MGL) with his thunderous seoi-nage for ippon. The result guaranteed Georgia their joint best medal of the competition while the Mongolian would have to return in the final block for a bronze medal tilt. In the second semi-final Asian Games bronze medallist Bekmurod OLTIBOEV (UZB) lost out to KOKAURI. The Azeri ace, who had only won one IJF medal since he started to represent Azerbaijan in 2013, a silver medal from the 2016 Almaty Grand Prix, produced the performance of his career in his adopted homeland. OLTIBOEV fell by ippon from an o-uchi-gari as President of Azerbaijan, H. E Ilham ALIYEV, was congratulated by the President of Mongolia, H.E. BATTULGA Khaltmaa and IJF President Mr. Marius L. VIZER. In the first bronze medal contest Olympic silver medallist HARASAWA Hisayoshi (JPN) beat Hohhot Grand Prix bronze medallist OLTIBOEV. 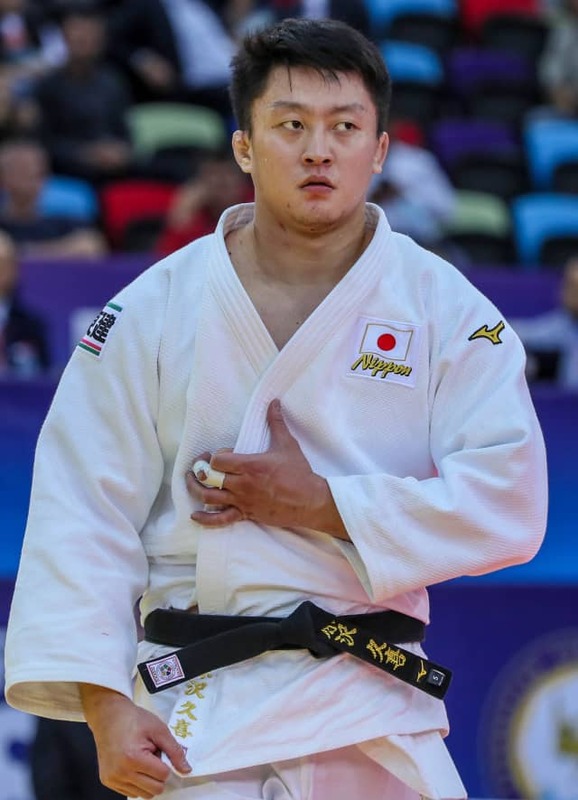 The Uzbek, who was making his World Championships debut, was on the receiving end of a thumping o-soto-gari for ippon with twenty-five seconds left on the clock. A first World Championships medal for the Japanese will at least see him retain his status as Japan’s number one while OLTIBOEV will be a new name to watch on the road to Tokyo 2020. 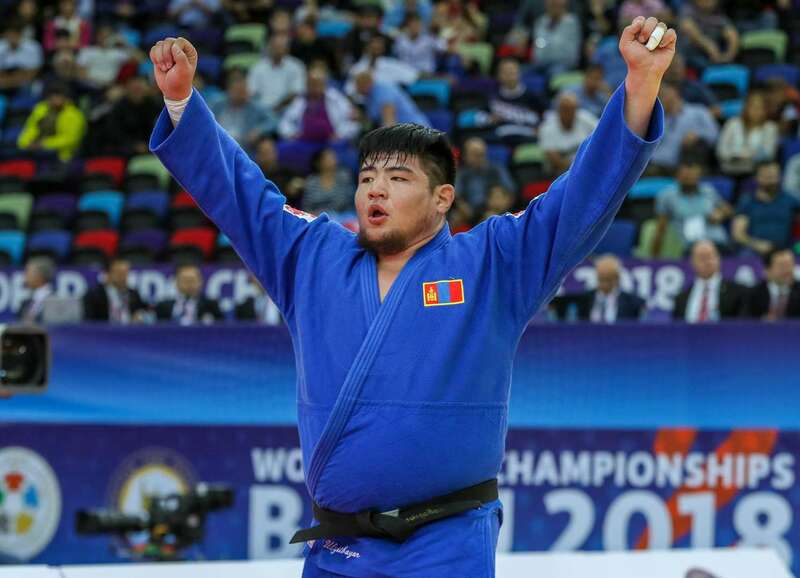 In the second bronze medal contest ULZIIBAYAR defeated -100kg Olympic champion Lukas KRPALEK (CZE). The Mongolian defeated his renowned Czech opponent who was tipped for the title in Baku. 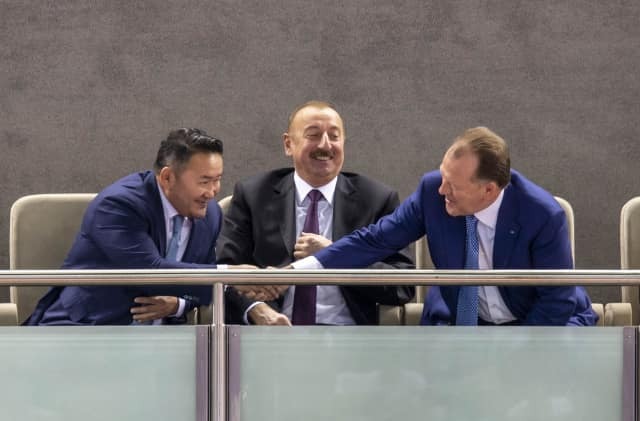 ULZIIBAYAR controlled KRPALEK with te-waza to score a waza-ari after two minutes of golden score to win his country’s third medal in Baku and it was in front of the President of Mongolia, H.E. BATTULGA Khaltmaa.